Sorry it’s been a bit quiet, just been mainly hacking so not much to report. Had a super session with Saf yesterday. It was very windy so she started off quite tense and fixed in her neck. Worked on 10m circles, so a 10m circle right, then straight away change to 10m circle left then continue up the arena. Seems to be working really well and does help Saf become a bit softer in her neck. By the time we’d done this a few times Saf was really soft, and suddenly seemed like she’d remembered what we’ve been working on the last few weeks. Did a few walk, trot transitions making sure Saf was soft in her neck and listening before making the transition, she’s getting really good at this! 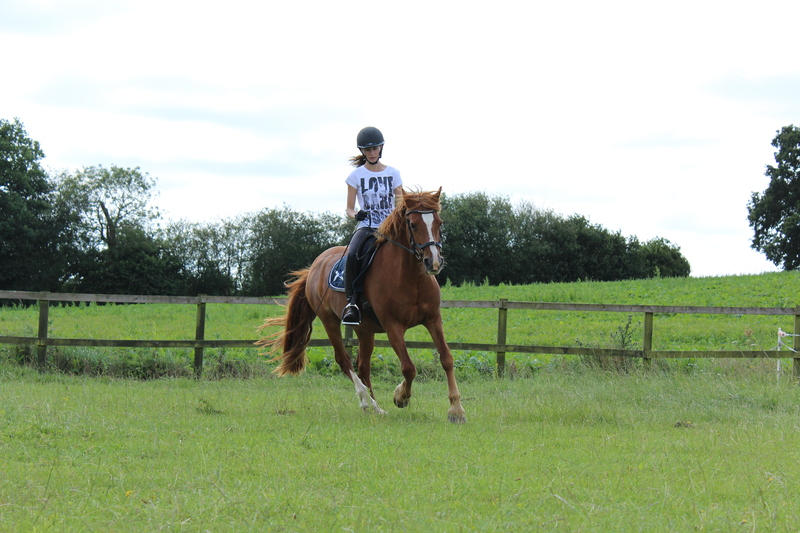 Then did a few canter transitions making sure the trot was relaxed before asking. For some reason I seem to get a mental block with canter every year. It’s all going really well by the autumn, then we have the winter off and I just can’t seem to process what I am supposed to be doing. It’s not exactly Saf’s strongest pace either so between us and my self deprecation it all falls apart. 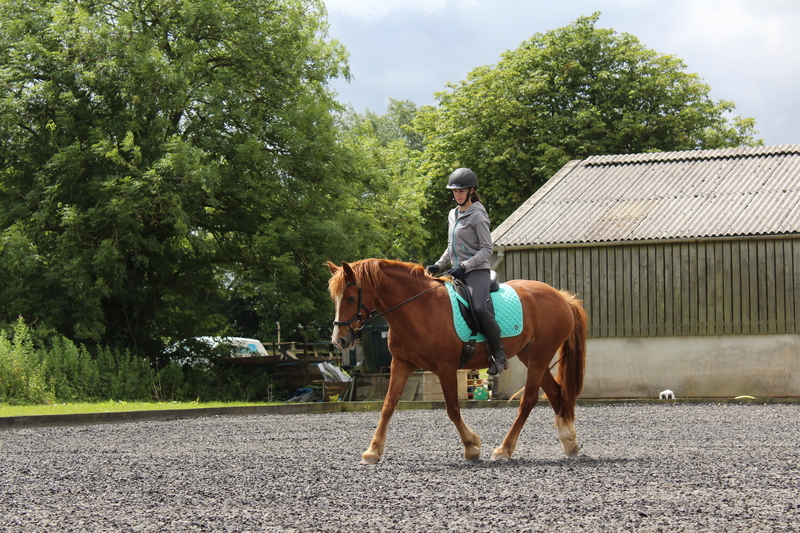 I gave myself a stern pep talk today and am going to do a few 20m canter circles on each rein every session just to work through this mental block. Felt tonnes better today compared to Friday and managed to just relax into it a bit more. So a great session, really pleased! All the ponies now happily installed in their summer quarters (we cheated, I know it’s not quite June yet!) This does mean that Saf needs to do twice as much work to keep her waistline in check! Penny is doing a grand job blending in, bonus points if you can spot her! 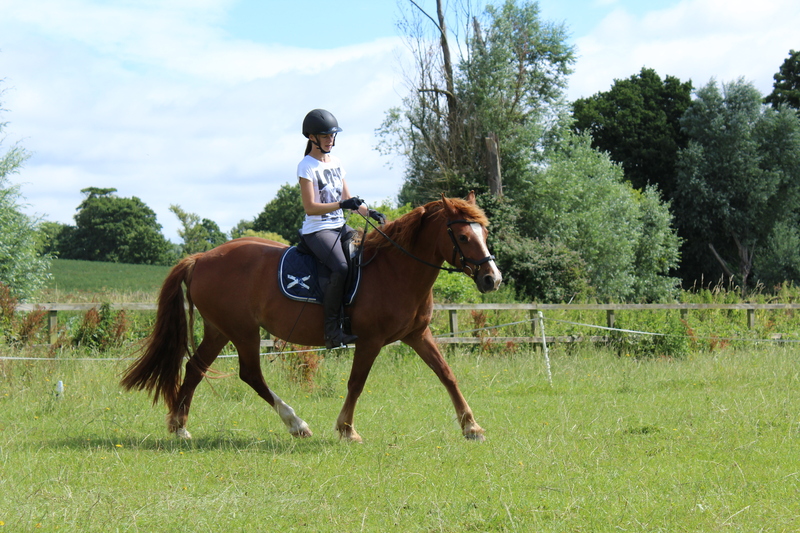 This entry was posted in Rider position, Training / Schooling and tagged bending, biomechanics, canter, circles, dressage, equestrian, horse, photos, riding, riding position, saffron, schooling, training, trot, welsh cob on May 31, 2016 by Emma. Little schooling sesh with Saf on Satruday. 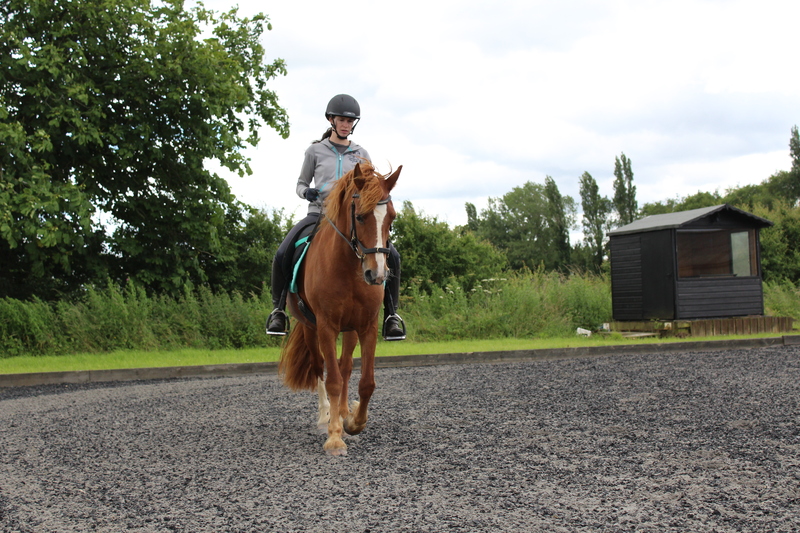 Super girlie being very agreeable whilst I spent some time working on sitting ‘across’ the saddle evenly. Thanks to Claire who is really developing her eye and is getting really good at being my eyes on the ground. Then Saturday evening we went along to Patrice Edwards’ lecture on ‘the seat’ which was enlightening, can’t wait to try a few new things out. 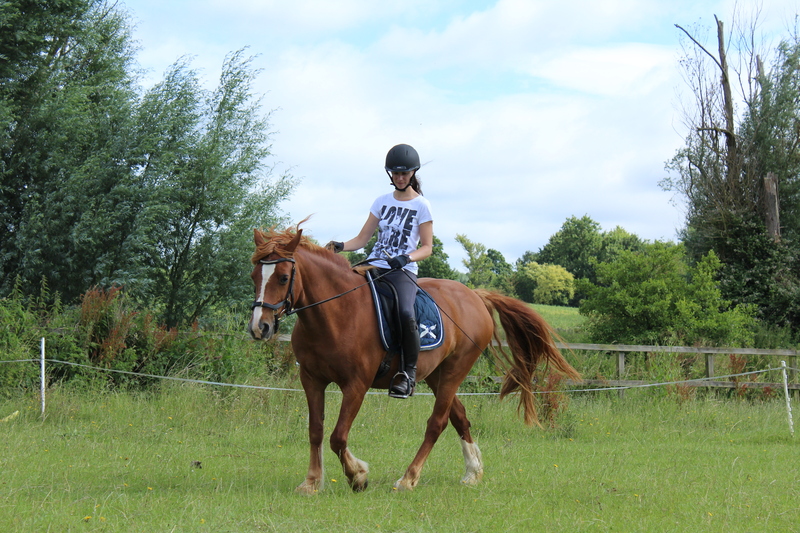 This entry was posted in Training / Schooling and tagged biomechanics, classical, dressage, equestrian, horse, horse riding, photos, riding, riding position, schooling, welsh cob on May 3, 2016 by Emma. Been looking forward to another lesson with Max all week. Saf has been a sweetheart and worked really hard all week putting up with me experimenting with one thing or another. I really wanted to clarify in this lesson how my seat should be feeling in the saddle. 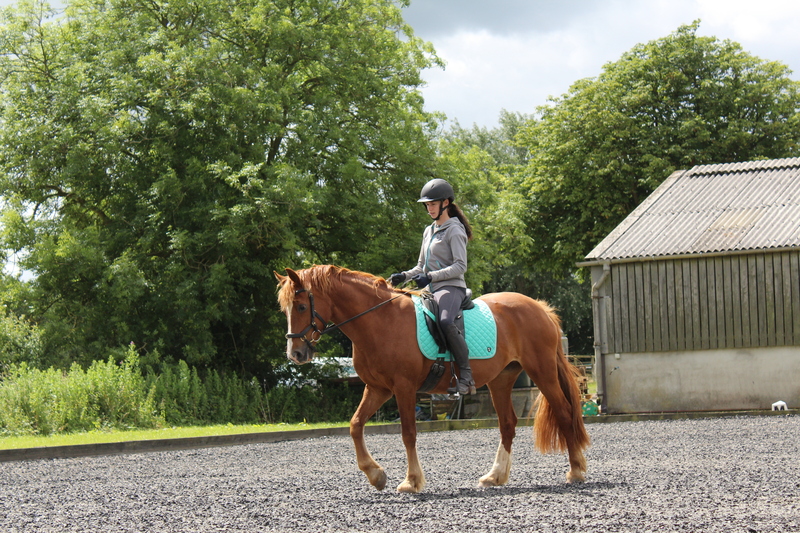 I have gone from knowing very little about weight aids, to understanding (kind of) the feeling on sitting across the saddle, a feeling of being central. At the same time a ‘weight aid’ is not as simple as piling a load of weight onto my right seatbone to turn right, and vice versa for left. I cannot simply weight the desired seatbone and abandon the other one. My outside leg is now further behind the girth than I am used to, so that’s taking some thinking about. I can ask for inside flexion with the rein, but mustn’t be tempted to raise my hand and hold it there. 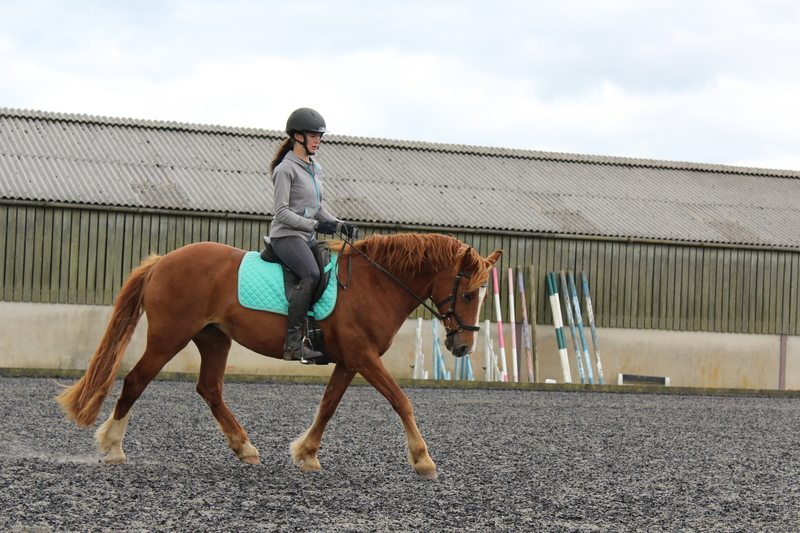 This entry was posted in Rider position, Training / Schooling and tagged bending, biomechanics, classical, dressage, equestrian, horse, horse riding, lesson, photos, riding, riding position, saffron, schooling, training, welsh cob on April 10, 2016 by Emma.